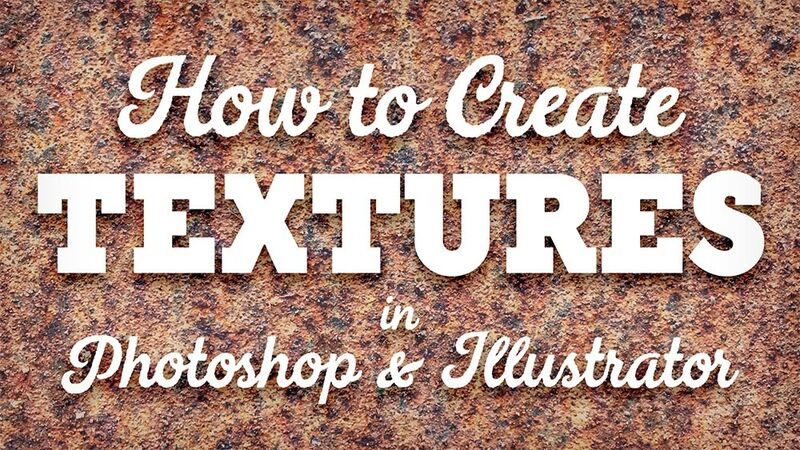 In today’s tutorial I have some tips and techniques to share for creating texture resources in Photoshop and Illustrator. 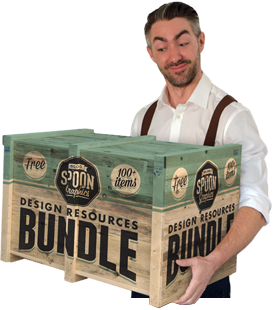 Rather than being a guide with a particular final result, this video will instead show you how to make custom assets that you can use as tools to produce awesome artwork, or even sell them as premium design resources on sites such as Creative Market. 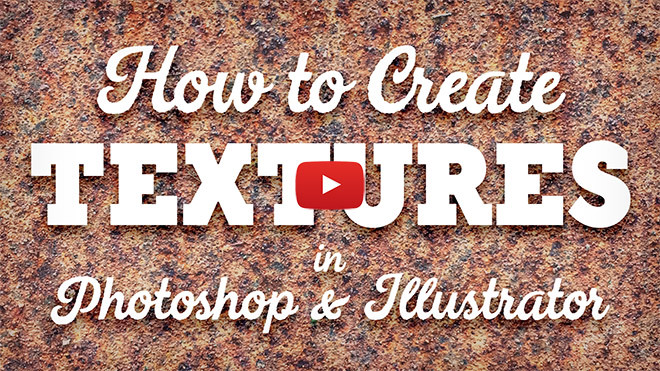 Great texture video, Chris! I would definitely like to see more of your helpful tips and tricks videos. Great tutorial! Would love to see more “Tips and Tricks” type tutorials along with the usual lessons. I loved it! Would be great if you could slow down a bit because you have a strong accent and for those not from England it makes it harder to follow. I would love if you made more of these tutorials. Excellent – thank you so much! Keep up the good work, Chris. This was really great! I would LOVE to see more videos like this that can be applied to across many dimensions of design not just in one certain design that you are working on. Thanks for your feedback, I will see what I can do! This was really helpful, thank you! I can never get enough resources. Making my own sounds like a good option. Flippin’ awesome! LOL This is very cool! Makes me want to grab my camera and go outside! I’m going to watch any video you produce whether it’s a tutorial or tips/tricks! There’s always something I learn and you’re a great presenter. Thanks for all the good work! It’s lovely to hear the tutorials have helped! Very cool video! I’d love to see more tips and tricks videos than long project tutorials. Awesome tips – more of these vids would be good! Thanks! I agree with another comment. While I loved the video, I wish you could slow down as it is a little hard for this Texas girl to understand your beautiful English accent and, of course, I can’t remember all the steps, so I have to start and stop the video to write them all down. Thanks again for the tutorial! Once again, you have shown me something that inspires me creatively. thank you. thank you. thank you. Thanks, these tips are very helpful. Your start to finish concepts are also helpful. I’ve been working in Illustrator and Photoshop for a long time yet there has never been a time that I haven’t learned something new from watching them.Your tutorials and downloads are much appreciated! Nice one! Love that there is no messing about, just a straight talking Northener! Would have been an hour long if it was a US tutorial. Will try this. Thank you. Thank you so much for sharing your process for making textures. I would love to see more tips.